There has been a huge and increasing interest in botanically derived substances amongst western scientists in the past few decades, with a particular focus on plants that have a history of use in natural medicine traditions. Boldine is a plant alkaloid with a number of attention-grabbing properties that have caught the eye of supplement manufacturers – some people are even calling it the new Yohimbine. Where does Boldine come from? Boldine is found in two species of plant – the Boldo plant, Peumus boldo, native to Chile, and Lindera aggregata, a plant that is grown in East Asia. Both plants are used in the respective medical traditions of their countries of origin. The leaves of the Boldo tree are used to brew tea, which may be used to treat digestive illness and stimulate the production of bile. Boldo leaves are also used to flavour food, and Boldo tea is drunk in many parts of South America. Lindera aggregata is an ingredient in traditional Chinese remedies that are also used to treat digestive and liver complaints. Boldine appears alongside other plant alkaloids in these extracts, but modern industrial processes are able to specifically concentrate and extract Boldine. Boldine has been shown to act as an alpha-2 adrenergic receptor antagonist. In English it's not that much simpler – boldine prevents the repression of stimulatory hormones adrenaline and noradrenaline, which, in a roundabout way, means it has a stimulatory effect. It is said to do this without bringing about the high blood pressure and anxiety that similar stimulants like yohimbine do (1). Furthermore, it is believed that the inactivation of these receptors, which are highly concentrated on fat cells, is something that is able to promote fat loss (2). Boldine has been hailed as one of the most potent natural antioxidants (3). Many benefits arise from this ability of boldine to scavenge free radicals, including anti-inflammatory effects, the ability to protect cells from damage and prevent the development of cancer. The antioxidant effect is also thought to prevent the development of atherosclerosis and diabetes, both of which are associated with inflammation (3). On top of this, studies have shown boldine to act as a vasodilator (4) and an enhancer of the immune response (5). In spite of it being a very strong antioxidant, the main buzz around boldine has ridden on the back of the idea that it could offer a legal, side effect-free alternative to yohimbine, a stimulant which is now banned in Australia. Yohimbine was used to boost energy and help fat loss, and supplement manufacturers are starting to pin their hopes on the idea that boldine may do the same. The antioxidant and anti-inflammatory effects of boldine are still of enormous benefit to bodybuilders and strength athletes because they can speed recovery, and boldine can neutralise the free radicals that arise as a result of fatty acid breakdown. Antioxidants are also vital for overall health. Vasodilation, or blood vessel relaxation, allows more blood to reach the muscles, which means more oxygen and nutrients, and quicker removal of waste. Vasodilation also contributes heavily to the pump during a workout. The biggest drawback with boldine would have to be a lack of human testing. The investigations that have been performed are very encouraging, but have been largely performed in animals and isolated cell lines. There is no solid scientific evidence for boldine as a stimulant or fat burner – this has been extrapolated from its pharmacological mode of action, and from anecdotal evidence. Boldine itself is thought to be relatively safe, although there is little research into this. There are potential dangers with whole extracts from the Boldo plant, which contains a high level of toxic alkaloid ascaridole and irritant terpinen-4-ol. These two substances are not very soluble in water, which makes Boldo tea safe to drink in moderate quantities for most people (pregnant women and people with blood clotting disorders are advised to avoid this product), but ethanolic Boldo extracts, or essential oils are potentially very toxic (6). Although boldine-containing extracts have traditionally been used to treat digestive problems, there are fears that long term use of this extract may be detrimental to people with existing liver, gallbladder or kidney disease. There is little data on the optimal dose of boldine as a training supplement. A classic dose of boldo is 0.5g per day, boldo extract containing up to 0.3% boldine per leaf dry weight. Much higher doses have been used safely in animals. As boldine concentration can vary considerably between extracts, it is best to follow the dosage advice of the manufacturers. Taking boldine half an hour prior to a workout will provide energy and boost pump. 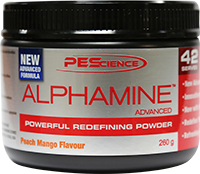 Boldine has started to appear in pre-workouts and fat burners, such as PES Alphamine Advanced. It is likely that we will see the popularity grow over the next few years. In South America, boldine is consumed as Boldo tea. Boldo tea is often mixed with yerba mate because each tea is thought to enhance the effects of the other. Replicate this by stacking boldine with yerba mate, or another stimulating drink like green tea or coffee. (1)Eltze M, Grebe T, Michel MC, Czyborra P, Ullrich B. Affinity profile at alpha(1)- and alpha(2)-adrenoceptor subtypes and in vitro cardiovascular actions of (+)-boldine. Eur J Pharmacol. 2002 May 17;443(1-3):151-68. (2) Arner, P. "Adrenergic Receptor Function in Fat Cells." Am J Clin Nutr. 55.1 (1992): 228S-36S. (3) O'Brien P, Carrasco-Pozo C, Speisky H. Boldine and its antioxidant or health-promoting properties. Chem Biol Interact. 2006 Jan 5;159(1):1-17. (4) Lau YS, Machha A, Achike FI, Murugan D, Mustafa MR. The aporphine alkaloid boldine improves endothelial function in spontaneously hypertensive rats. Exp Biol Med (Maywood). 2012 Jan;237(1):93-8. (5) González-Cabello R, Speisky H, Bannach R, Valenzuela A, Fehér J, Gergely P. Effects of boldine on cellular immune functions in vitro. J Investig Allergol Clin Immunol. 1994 May-Jun;4(3):139-45.